Fifty years after the assassination of Malcolm X, Britta Waldschmidt-Nelson presents readers with what is likely to remain the most comprehensive German-language biography of the famous black nationalist leader for decades to come. Waldschmidt-Nelson, who is Executive Director of the German Historical Institute in Washington, DC, and a professor of American History at the University of Munich, has written several books on the African American freedom struggle, and her latest study on this subject testifies to her encyclopedic knowledge of that struggle’s history. In ten gracefully written chapters, German readers are introduced to the fascinating life and legacy of Malcolm X as well as to the contours of African American history since the Civil War. They learn much about Malcolm’s childhood as the seventh of Baptist preacher and black nationalist organizer Earl Little’s eight children in Michigan, the death of his father at the hands of white supremacists, his time in foster homes after his mother Louise Norton was committed to a mental hospital, his career as a criminal in Boston and New York during the first half of the 1940s as well as his arrest for burglary in 1946. Waldschmidt-Nelson also gives a vivid account of his conversion to the teachings of the black nationalist organization Nation of Islam (NOI) in prison and his meteoric rise to notoriety and stardom after his release from prison in 1952, first as the NOI’s most prominent spokesman and later, after breaking with the organization’s leader Elijah Muhammad, as one of the most militant champions of human rights in the 1960s. The final chapter examines the impact of Malcolm’s thinking on succeeding generations as well as the remembrance of the combative activist, showing that Malcolm X continues to be an icon and a reference point for many black and white Americans in the 21st-century. Malcolm’s autobiography and the four most comprehensive English-language biographies of the black activist constitute the foundation for Waldschmidt-Nelson’s important book. However, she also utilized Malcolm’s speeches, newspaper articles, archival materials as well as a few interviews she conducted with black activists who knew the Muslim leader or worked with him. While the biography does not and was not intended to unearth path-breaking new information on Malcolm X, it is extremely comprehensive and interweaves its historical narrative with insightful scholarly analysis. Most importantly, Waldschmidt-Nelson provides frequent discussions of the historiography of Malcolm X, with a particular emphasis the controversies triggered by the late Manning Marable’s biography “Malcolm X: A Life of Reinvention”. She therefore nicely connects history, historiography, and memory in a way that is not only revealing for German lay readers, but also for academic audiences, which is why U.S.-based publishers might want consider publishing a translated version of this book. Given the biography’s impressive comprehensiveness, there is little that the author left out, and it might be nitpicky to demand coverage of additional topics. However, Malcolm’s impact on the Black Power Movement receives surprisingly little coverage. Given the fact that Black Power ideologies revolved primarily around Malcolm’s ideas, this omission makes it difficult for readers to fully comprehend and appreciate his significance for the black freedom struggle in the United States. But this criticism is not meant to diminish Waldschmidt-Nelson’s admirable accomplishment. It is to be hoped that her fine book will find many readers, lay and academic alike. Manning Marable, Malcolm X. A Life of Reinvention, New York 2012. 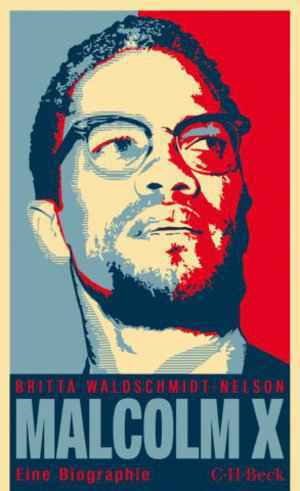 Simon Wendt: Rezension zu: Waldschmidt-Nelson, Britta: Malcolm X. Der schwarze Revolutionär. München 2015 , in: H-Soz-Kult, 01.10.2015, <www.hsozkult.de/publicationreview/id/rezbuecher-23969>.